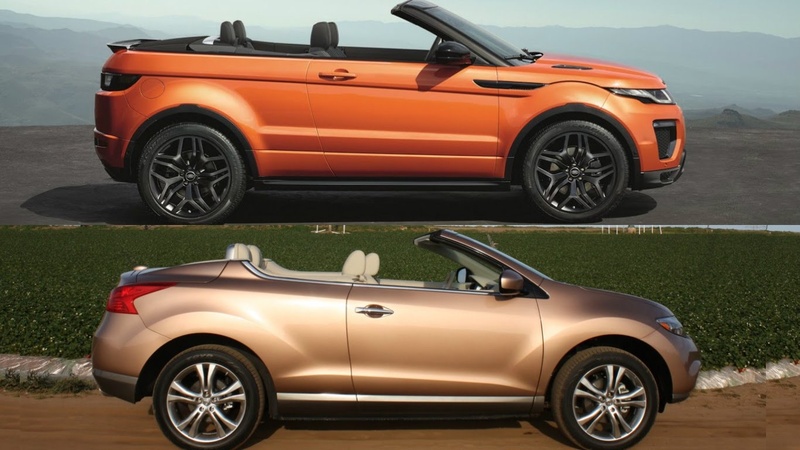 Is there any greater sign of SUVs taking over the world when we’re talking about a convertible SUV? 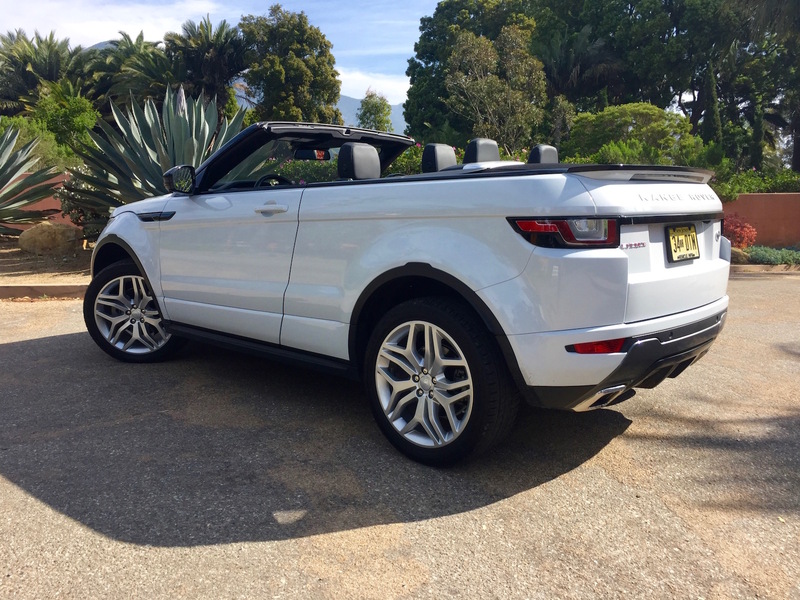 That idea is nothing new, but the 2017 Land Rover Range Rover Evoque Convertible is a different interpretation of the idea effectively started by utilitarian Jeeps and Land Rovers. 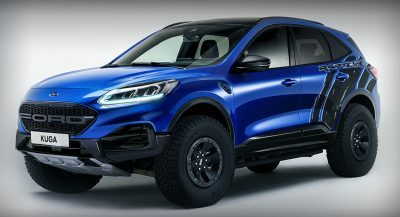 It doesn’t major on utility, unless you consider drawing stares in traffic useful. 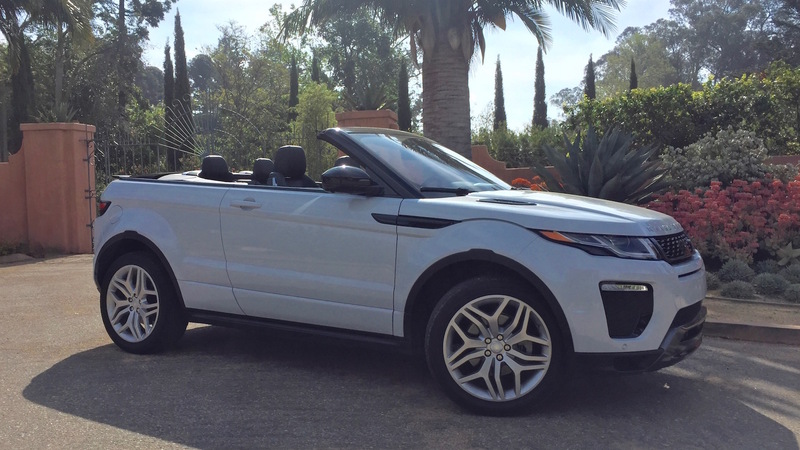 I’ve been driving the Range Rover Evoque Convertible. Here are some thoughts about the most open Land Rover product you can buy now. 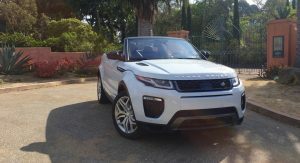 First thing: the only real thing the Evoque Convertible and the departed Nissan Murano CrossCabriolet of a few years ago have in common in terms of appearance is that they are both two-door convertible SUVs. 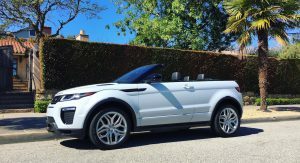 The Evoque’s sharp looks have translated well onto an open-topped version of the Evoque Coupe – even if top-up appearance is a little lumpy. But, sure, it still generates, “What is that?” responses, for better or worse. Part of the reaction comes when you push the button (weirdly, placed under the cupholder cover) to lower this large fabric top. It goes down swiftly enough but draws looks of confusion in any parking lot. 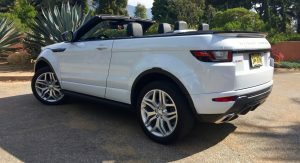 Visibility for the driver, however, doesn’t change too much with either the top up or top down. Drop the roof, however, and you’re just more visible to other people. 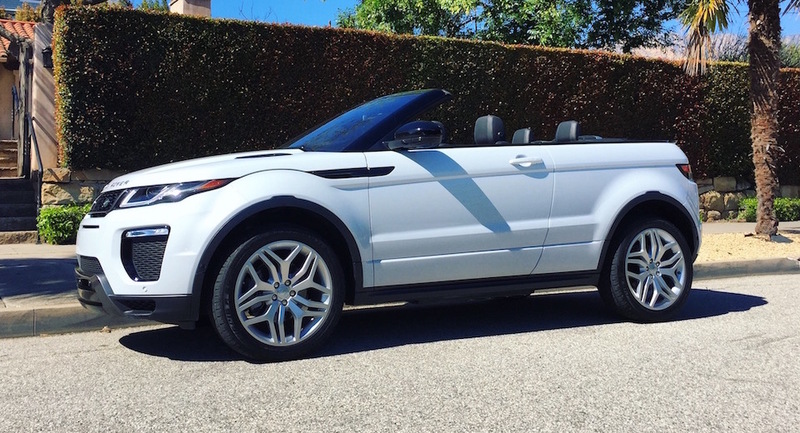 Outside, the Evoque is holding up well for being nearly six years old. Inside, however, the time has been less kind. 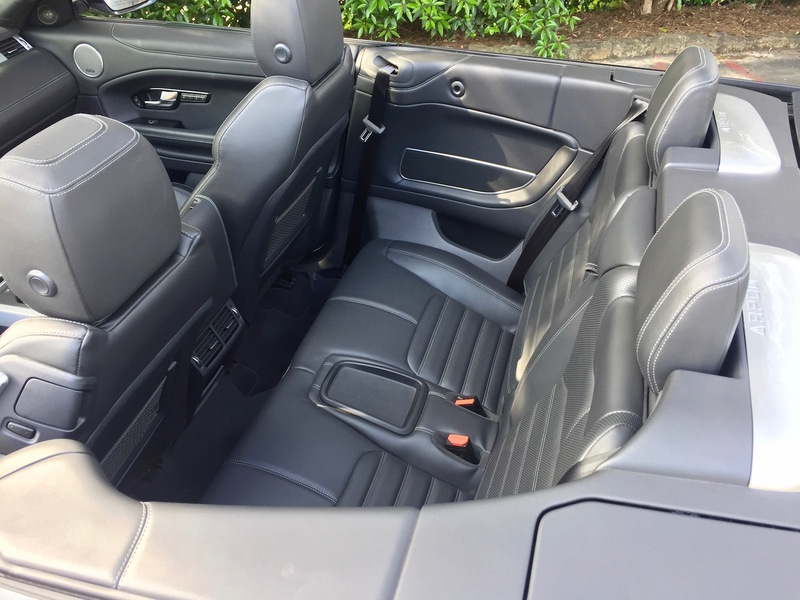 Plastics are not particularly plush and the dark interior on my car has that stark look that’s sweeping across a lot of Jaguar Land Rover products. 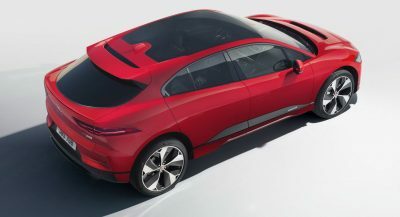 Another sign of the Evoque’s age is revealed in the surges of the 2.0-liter turbo four, its only engine. Mated to the 9-speed automatic, it’s hard to get going smoothly. And you always have to put your foot down more than you think to get to the speed you want. 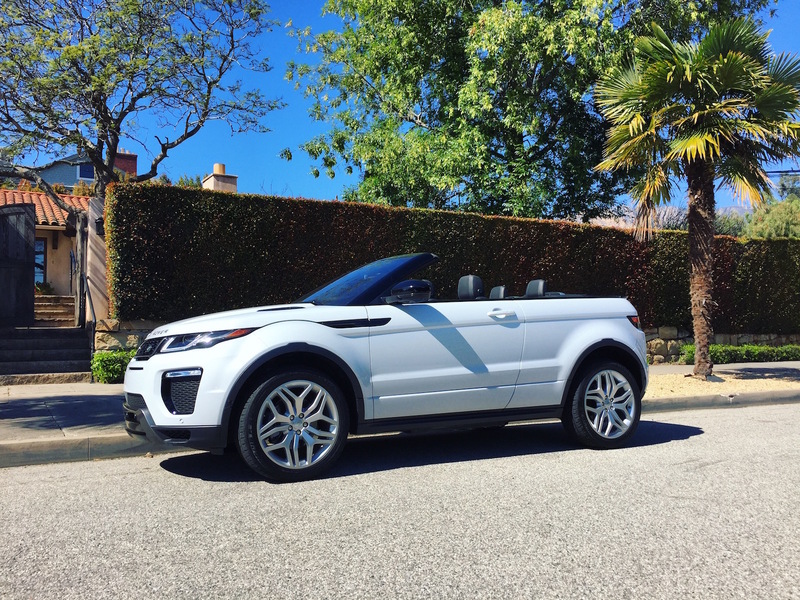 I’ll admit, I’m having fun with the Evoque Convertible. 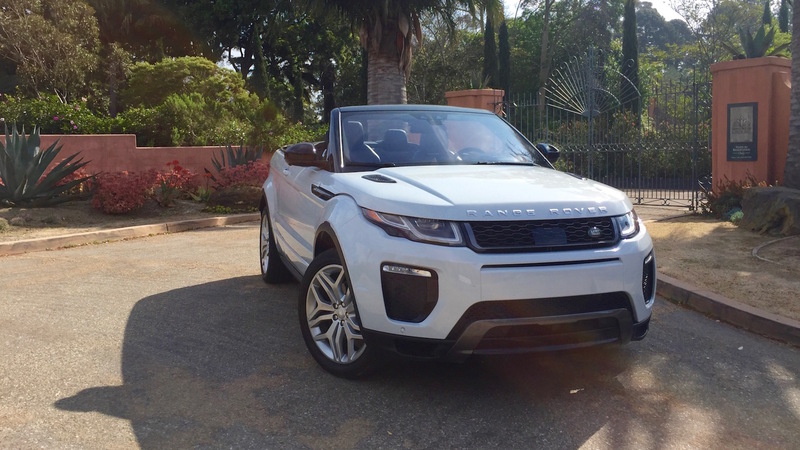 Few cars inflict such a range of emotions. 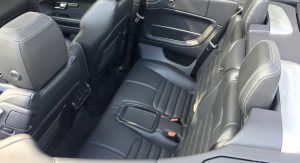 Would I spend between $53,000 and roughly $65,000 of my well-equipped tester (that had many, but not all, of the options)? I have to get back to you on that. In the meantime, throw your questions and inevitable wit and comments in the spaces below. 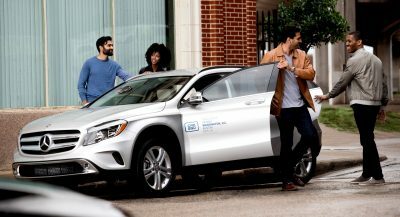 Do you feel irresistibly attracted to men after driving it? Right, because gay men drive feminine odd cars? Do you feel like an idiot? The Murano looks far worse, and is definitely worse to drive. But I’m willing to bet that it’s FAR more reliable. It could be as reliable as a Swiss clock, doesn’t make it any less awful. A lot of the design is cut off with the roof. It’s the answer to a question that very few must have asked. How about cowl shake? And the floppiness of loosing your roof? Does it suffer from that? Definitely some, balanced out by the stiff ride with the 20s. As much as I want to like these two, they simply don’t do much for me. 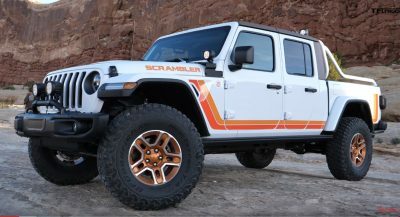 I’ll stick with my Rubicon. 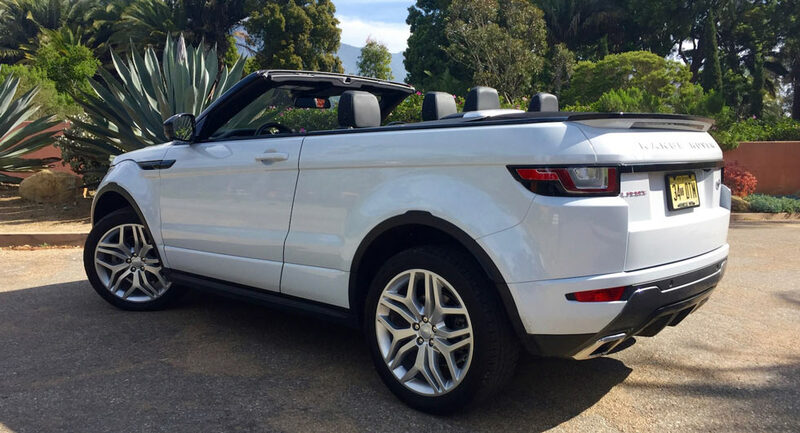 It’s a bigger version of a 1980s VW Cabriolet. That’s not a compliment. Next PostNext Can You Really Go Rallying In A BMW i3?